Saturday's Market is a short drive from all south central Pennsylvania locations. You can get there in less than an hour from Lancaster and York and it's a short 12-15 minute drive from Harrisburg. This indoor and outdoor flea market and farmer's market is the largest in the entire state of Pennsylvania. 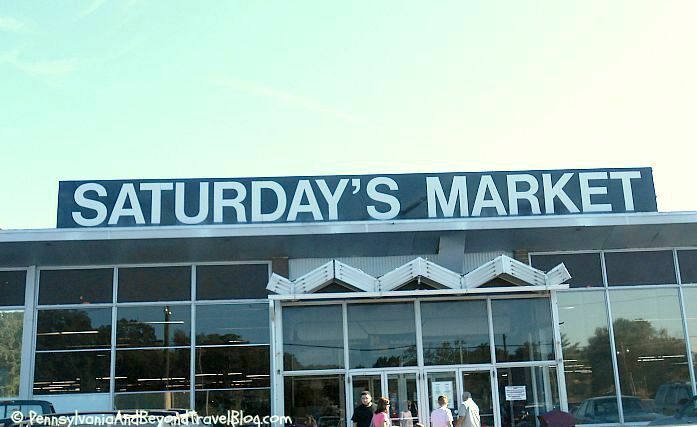 Saturday's Market is a combination flea market and farmer's market which is open year-round. There are over 300 indoor merchants and several hundred outdoor merchants at any given time. The outdoor stands and boots are open weather permitting. You can shop for new and used clothing, handbags, footwear, collectibles, housewares, toys, gifts, pet items, new and used books, antiques, crafts, quilts, jewelry, cleaning products, sporting goods, gifts and more! Just about anything that is legal to sell is sold here! If you are handicap you will find some handicap parking that is close to the front entrance of the building. Inside there is a handicap accessible public restroom. Once you are indoors you will find numerous food concession stands, fresh local produce being sold, bakery items, several meat counters, snack foods, beverages, etc. You can eat in or purchase meals and food for take-out. In addition, there are some indoor shops that sell antiques, furniture, clothing, collectibles, candles, bath & body items, gifts, etc. We love visiting Saturday's Market a few times every year. We typically like to go in the late spring or early fall months when it's cooler outside and the market tends to be just a tad less busier. On beautiful summer days you really need to arrive early if you want to find a good parking spot. 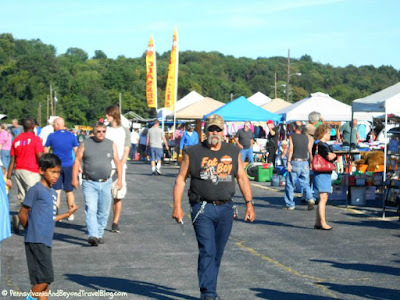 If you love visiting flea markets...this is definitely one that you need to check out! 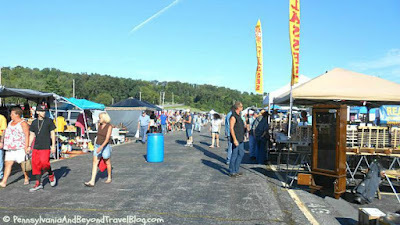 I love to visit flea markets and farmer's markets to find bargains and /or fresh local produce. 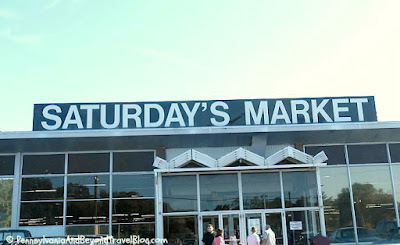 If I am in this part of Pennsylvania I know I shall want to visit Saturday's Market.